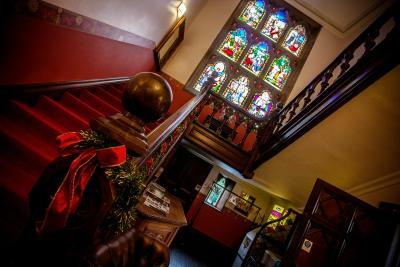 We liked the hotel and its location and liked also the interior which is what we were looking forward to as we are passionate about Victorian buildings. 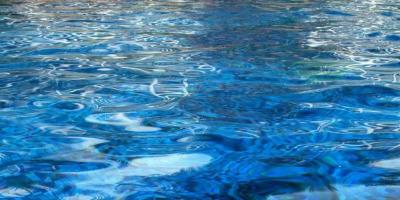 There is a pool and a step machine handy for exercising. Staff friendly and helpful. Lovely surroundings would like to explore the spa next time. lovely dinner. Perfect! Beautiful building with amazing features on a truly grand scale. 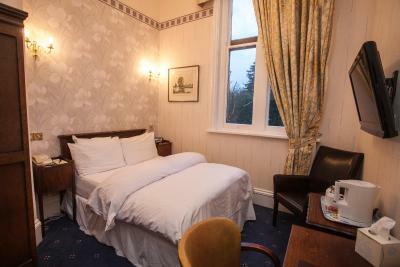 All staff encountered were very helpful, lovely room, excellent restaurant. Great staff, and a wonderful setting. the building is very interesting as are the grounds. 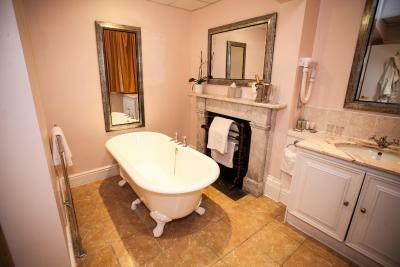 Staff were fantastic, the abby and grounds were beautiful..the mansion suite room was lovely. Not a lot. 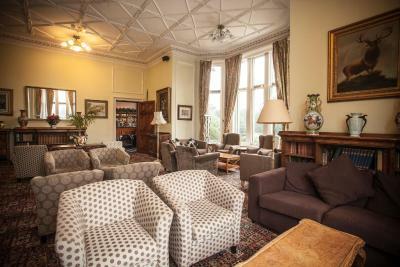 The outdoor terrace from the bar, the quiet and the drawing room off the bar area. The stay was lovely, the staff had a problem with the communication between the third party organiser ‘booking.com’ and their system so I had to re-register my stay for the night. Wroxall Abbey Hotel & Estate This rating is a reflection of how the property compares to the industry standard when it comes to price, facilities and services available. It's based on a self-evaluation by the property. Use this rating to help choose your stay! Nestled in 27 acres of open parkland, Wroxall Abbey Estate occupies a unique setting amid peaceful countryside. 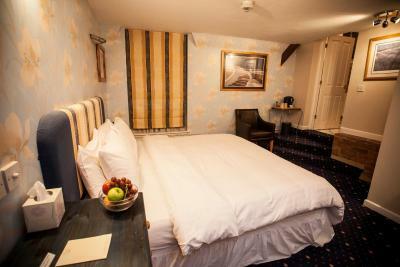 The hotel is positioned close to Warwick and with convenient road and motorway links to Solihull, Coventry, the NEC and Birmingham city center. 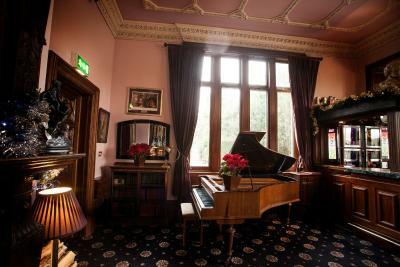 It has recently appeared in The Independent's Top-50 wedding venues in the UK. This property also has one of the top-rated locations in Wroxall! Guests are happier about it compared to other properties in the area. 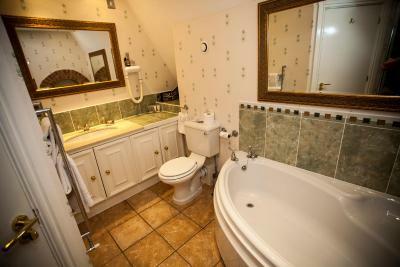 This property is also rated for the best value in Wroxall! Guests are getting more for their money when compared to other properties in this city. 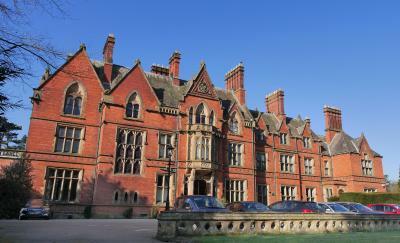 When would you like to stay at Wroxall Abbey Hotel & Estate? In the mansion, this room features high ceilings and antique furnishings. 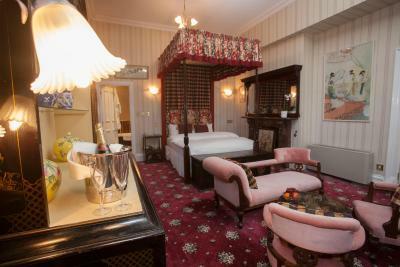 Each room is individually themed with high ceilings, antique furnishings and private bathrooms including a bathtub & shower. 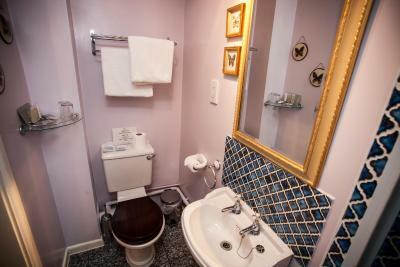 Spacious luxury double accommodations with large private bathrooms. 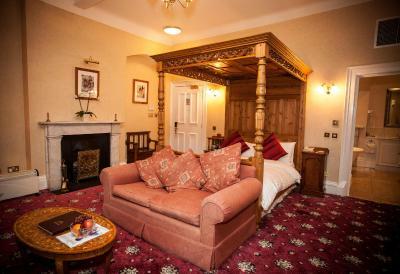 Furnished with antique pieces, all of the rooms have one or more of the following features; four-poster bed, original fireplace, views of the grounds, king beds. 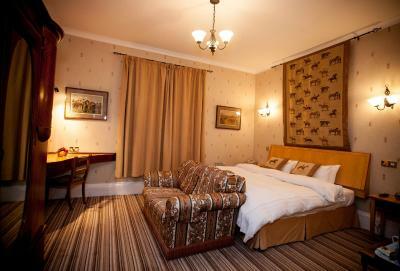 These larger double rooms are each individually designed and furnished with antique furniture. They include one or more of the following: Original fireplace, king bed, views of the grounds, separate shower, spa tub or corner bath. 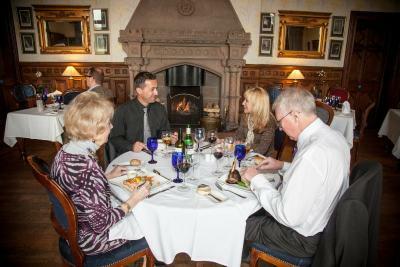 This package includes a full English breakfast on each morning of your stay, and a 3-course dinner from the Bistro menu on 1 night. 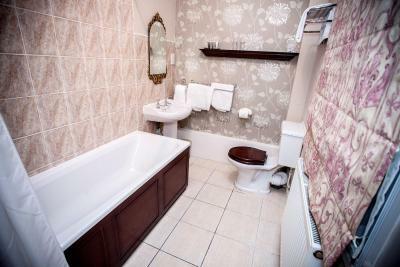 A double bedroom in Wroxall Court with private bathrooms including either a bathtub or shower. 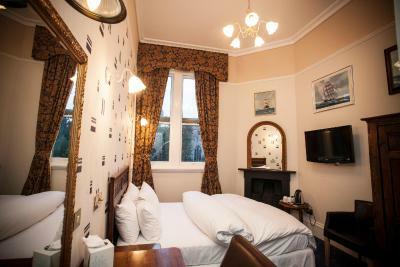 Each room is individually designed. 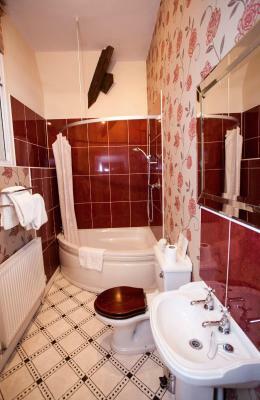 Private bath & shower facilities are included in this room. House Rules Wroxall Abbey Hotel & Estate takes special requests – add in the next step! Wroxall Abbey Hotel &amp; Estate accepts these cards and reserves the right to temporarily hold an amount prior to arrival. 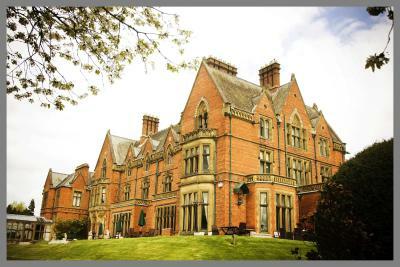 Wroxall Abbey Hotel & Estate accepts these cards and reserves the right to temporarily hold an amount prior to arrival. The surround areas were beautiful. Our room was near the kitchen was woken up at 6am someone was hoovering noise levels were high so could not get back to sleep the bathroom was poor was a wet room and bath not appealing to us was very grim . The bed was good and the pillows liked the spa..
Room 41 was only just covered by the wifi, but it was perfectly adequate within the bar. Food was good but slightly cold on one evening. 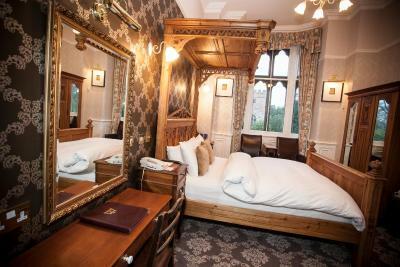 I booked and paid for a king size bed, but did not get this, why....? For the grandeur of the abbey hotel the room did not meet or expectations, although the room was nice it was very small, was expecting that little bit more.would stay again, perhaps try to get a room in the mansion then think I will be impressed. 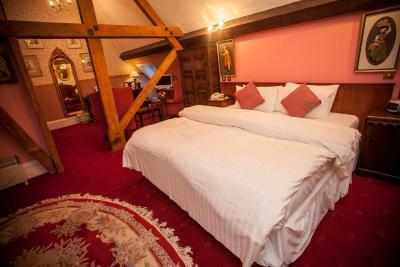 The setting was wonderful, the room comfortable and quirky. The staff were very friendly and helpful. We had a problem with our bathroom radiator and the bathroom was cold and damp when we arrived it was immediatly sorted. 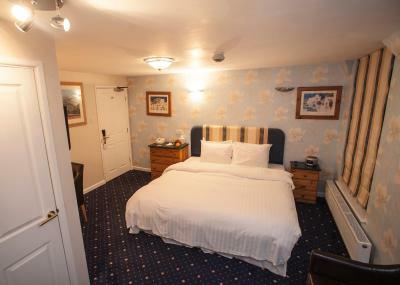 The room could really do with updating. It was a very small single without so much as a headboard. Having said that it was clean and recently decorated.